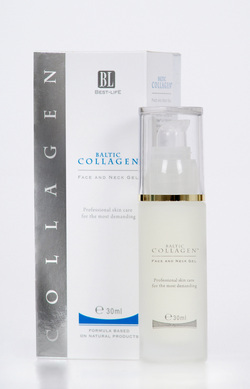 Just minutes after applying Baltic Collagen, skin immediately takes up slack and becomes notably firmer. After several minutes you can expect a smoother complexion, and re-instilled vibrancy. Over years your skin will appear as if the time hadn’t passed, as the daily stress that we subject our skin is a prime contributor to aging (and hence the reason that drives individuals in search of Botox treatments.) Only this time, you’ll know that the results are real. Skin will look and feel renewed when it has tightened; when it has smoothed; when it is even; when it has thickened, and firmed, or when the wrinkles have diminished; and when further wrinkles are immobilized or prevented from forming. Nine out of ten Baltic Collagen customers report a significant impact in their life, with astonishing results and surpassed expectations. Upon noting the immediate affected difference in elasticity, firmness, and resistance to wrinkle formation, also observe that Baltic Collagen is clinically proven with positive results for anti aging. It is all made possible by our specially and naturally procured, biologically pure, and active preparation, known today as Baltic Collagen™. 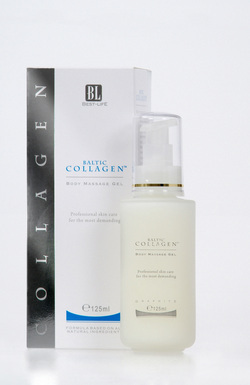 An exclusive anti aging product—Baltic Collagen is the chance to accomplish what man-kind never thought possible. Choosing Baltic Collagen is like making a sound investment in a one's youth. You have nothing to lose and everything to gain in doing so. The more time that passes, the more wrinkles that will develop, and hence the more irreversible the signs of aging become. The sooner you start the more ahead you’ll be to preserving the youth you have today. Take advantage of what cutting edge science has accomplished in creating this superior product. Try it once and you’ll always be back. If for any reason you are not satisfied in 30 days, you’ll be refunded in full, no questions asked. We’re so certain about its effectiveness, that we’ll extend the offer at not even the expense of shipping; don't miss out on this superior preparation. That is what we, the makers of Baltic Collagen, bring you--the chance to finally get what you have been looking for.